Motorcade of Libyan Prime Minister Fayez Serraj was shelled in Tripoli by "armed groups based in the (Rixos) Palaces", according to local media. 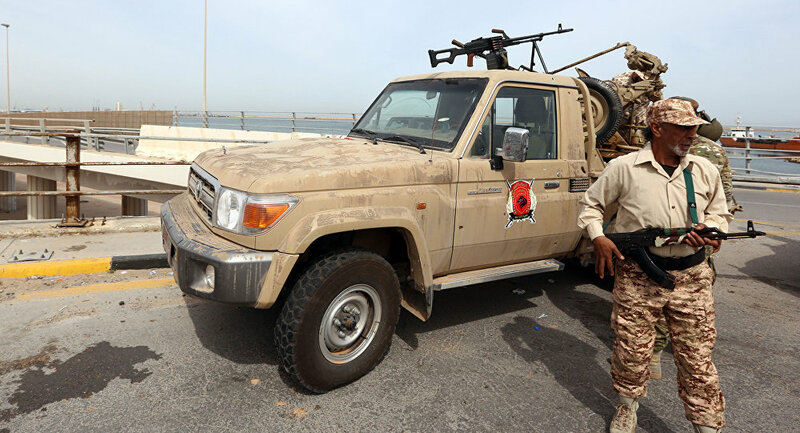 MOSCOW (Sputnik) — Libyan Prime Minister Fayez Serraj survived a Monday shelling of his motorcade in Tripoli, local media reported, citing governmental sources. The motorcade with Serraj, head of the State Council Abdulrahman Sewehli and head of the Presidential Guard Najmi Nakoa came under fire as it drove through the country's capital this morning, the Libya Herald newspaper, citing the State Council's press service. The shelling was reportedly carried out by "armed groups based in the (Rixos) Palaces." An emergency meeting was convened in Tripoli, according to the newspaper.